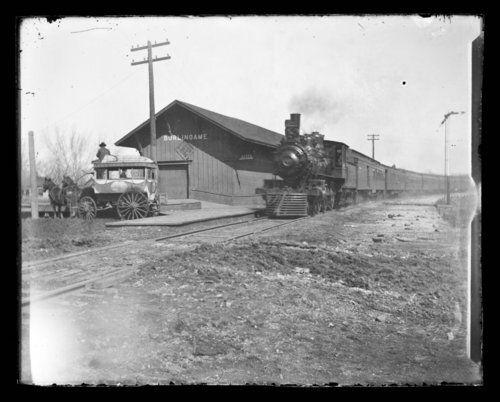 This photograph, from a glass plate, shows a view of the Atchison, Topeka and Santa Fe Railway Company train in Burlingame, Kansas. In the foreground a horse-draw wagon is visible. This image also exists as unit 218978 from the Santa Fe collection.